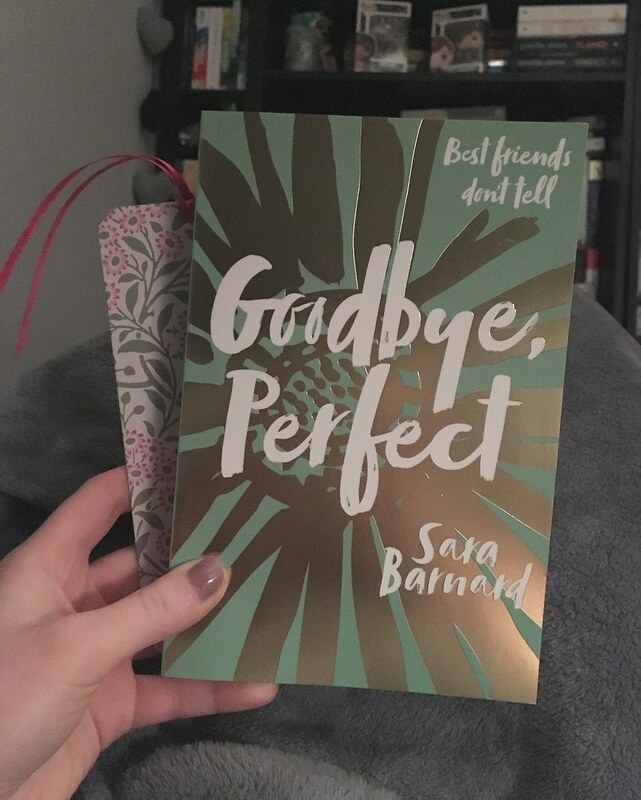 Although i still haven’t picked up Beautiful Broken Things – her first novel, i was definitely anticipating the release of Goodbye, Perfect for a very very long time. I had no idea of the story as i wanted to go into it a little blind, as i had done her previous novel. Very quickly i released it to have a much more serious story-line than i expected it to. I didn’t know what to think about it at first. Goodbye, Perfect not only deals with diverse families, unusual family dynamics and friendship issues between teenagers, it also focuses heavily on much harder to read topics such as emotional manipulation and grooming. There were so many scenes in this novel that i felt physically uncomfortable with what was going on. I really enjoyed it overall and i found the message in it to be extremely powerful, but scenes that you want to scream at a character for being so naive made me pretty uncomfortable. I really enjoyed the way Sara made the characters seem a little naive to the outside world, it showed how young and vulnerable they truly were and it was a huge insight in to a teenagers mind from an adults perspective. One of my favourite things about this story was the romance between our main character Eden and her boyfriend. It’s so very rare that a partner of the main character is a side character, but Sara wrote this incredibly well. It’s seen as a happy relationship and by YA standards a pretty healthy one. I really enjoyed learning about their relationship throughout the story and it added a little more depth to Eden’s character from what we presume her to be. She was full of (realistic) surprises and i love that in a character. I have very few faults in the writing or story of Goodbye, Perfect. I really enjoyed the aspect of an adoptive family and how that was addressed in the story, although i know pretty little about adoption, it felt realistic to me. I also very much enjoyed the fact that there were no loose ends in the writing. Everything had an answer in the end and pretty much ever little detail had an answer or was wrapped up. I really love it when a stand-alone can do that really well. Without a doubt i need to pick up Beautiful Broken Things and complete my read of all of Sara Barnard’s novels. If i’ve enjoyed her latest two this much i’m sure her first will also become one of my favourite contemporary books. She has an incredible talent at writing realistic, raw and entertaining contemporary with different stories.